Driving north from Claris turn right at the cross roads and then almost immediately left onto the Whangaparapara Road. The Hot Springs are on the right hand side, signposted and there is some parking. Driving south from Port FitzRoy or Okiwi after crossing the Kaitoke Stream the Aotea Art Gallery is on the left and a little further on turn right into Whangaparapara Road. It is a gentle one hour walk to the hot pools from the car park. Suitable for wheelchairs/pushchairs. Map showing location of Kaitoke Hot Springs . Use the controls on the map to zoom in and out. 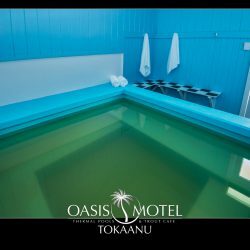 My favourite natural hot spring I have been to in NZ yet! Not developed apart from a picnic table, nice gentle walk to get there, really good temperature. And its on Great Barrier which is just an awesome place all around! 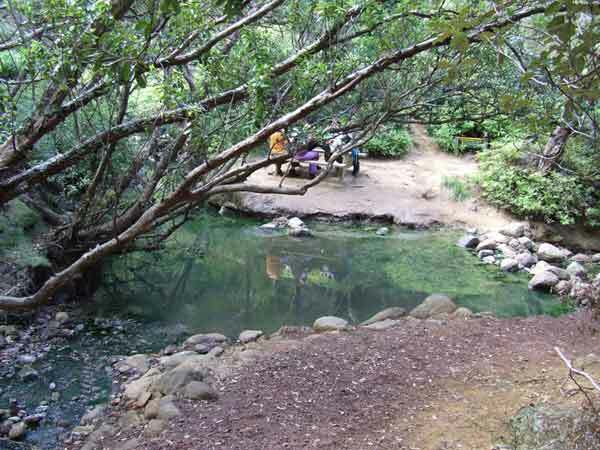 The first pool is at the confluence of two streams. 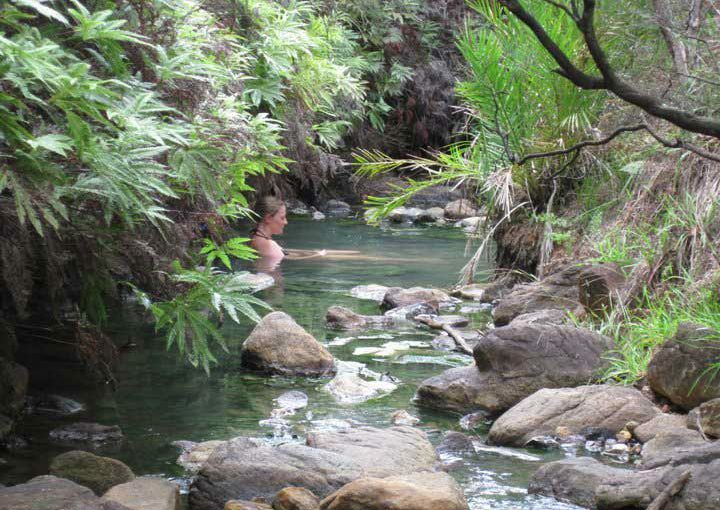 The furthe rup the western arm you go, the deeper the pools, and the hotter the water, until you reach the perfect rock pool with waterfall, 3 feet deep, and natural stone seating. Enjoy! I remember the trip one labour weekend prob 5 or so years back. We had flown over and had no transport so walked from the aeroclub accomodation where we stayed in Claris. Took a good hour or more walk to the track and then another 15-20min walk down the track which was well made with boardwalks etc. 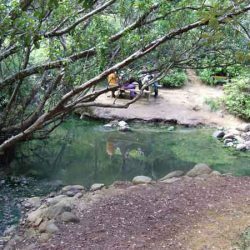 The pools were smaller than predicted and under trees, we were actually surprised to see others there. The pools were hot at the top and got cooler on the way down so you could pick the temperature for you. Luckily we managed to flag down a local and avoided the walk home just on dark. Reccomend you try Claris Texas Cafe and pay a visit to the local bottle shop too, surpringly good and priced! The only thing missing are the panoramic views.